This Order was dedicated to the virginal Mother of God in complete love and loyalty, and is known as the Servites. 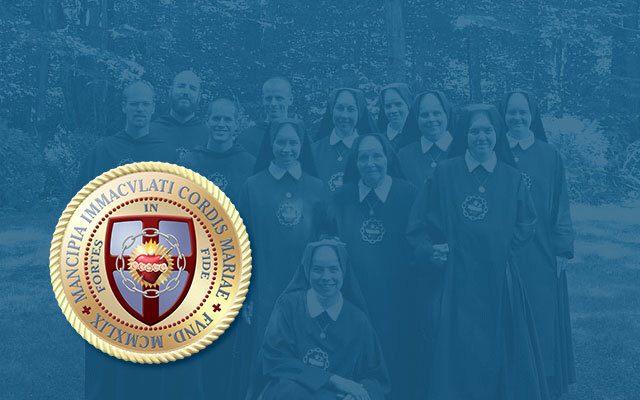 Their founders were seven noblemen of Florence who dedicated their whole lives to the cult and honor of the Immaculate Mother of God, and who believed that no revealed truth of God can be understood without reference to the Blessed Virgin Mary. The great devotion of these seven Holy Servites was to Our Lady’s Seven Sorrows, a devotion commemorated on September 15. The seven Holy Servites have separate feast days because all are saints, but February 12 is their joint feast. Their names are: Saint Bonfilius Monaldius, Saint Bonajuncta Manettus, Saint Manettus Antellensis, Saint Amideus de Amadeis, Saint Uguccio Uguccionum, Saint Sosteneus de Sosteneis and Saint Alexis Falconieri. They were all canonized together in 1887. Saint Alexis was one hundred and ten years old when he died.